Fr. 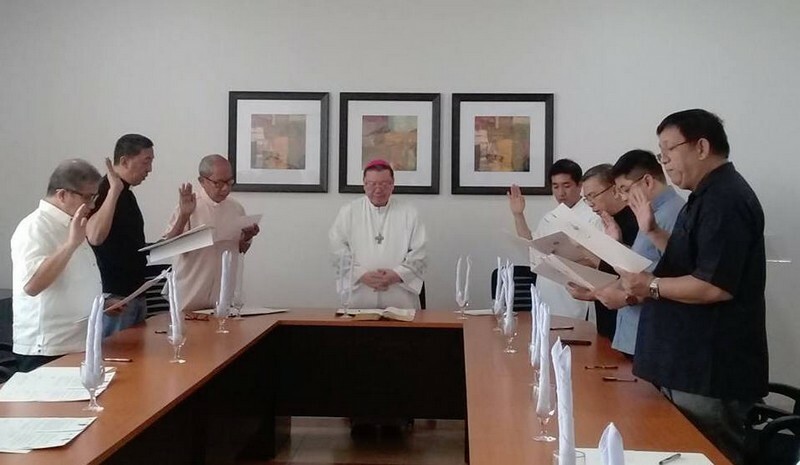 Herman Abcede, Provincial Superior of the St. Matthew Province, has been appointed by the Bishop Jesse Mercado of the Diocese of Paranaque to be a Defender of the Bond in the Diocesan Ecclesiastical Court of First Instance. 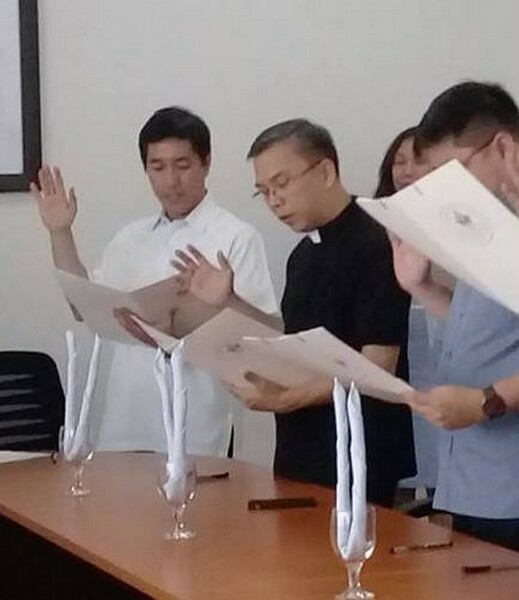 He was sworn into office on June 6, 2018, together with the other officers and judicial counsels of the Tribunal, during the blessing of office of the said new Tribunal Office. Fr. Abcede used also to be a Defender of the Bond in the Archdiocese of Manila. He graduated from the Lateran Pontifical University in 1996 with a Licentiate in Canon Law. The Diocese of Paranaque has 2.3 million Catholics, with 58 parishes and shrines, and 12 catholic schools. The Rogationists have four communities in this Diocese, involved in the following ministries: Parish, Elementary and High schools, College Seminary, Pastoral Institute for Vocation Ministry, Center of Studies for Religious students in Theology.